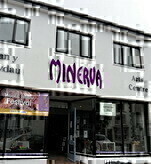 The Quilt Association is based at The Minerva Arts Centre, High Street, Llanidloes, Powys, SY18 6BY. Llanidloes is off the A470 between Newtown to the east and Llangurig to the west. Approaching from Newtown, enter Llanidloes from the roundabout at the junction of the A470 with the B4518. Drive down Newtown Road and Victoria Avenue. At the small roundabout take the second exit (Minerva Garage on your left) into Longbridge Street. At the Old Market Hall, turn left into Great Oak Street. The Minerva Arts Centre is facing you at the top of the street. Approaching from Llangurig, enter Llanidloes by taking the slip road off the A470 on to the B4518. Drive down Llangurig Road which leads into Smithfield Street and China Street. At the Old Market Hall turn right into Great Oak Street (you have to drive round the Old Market Hall). The Minerva Arts Centre is facing you at the top of the street. On-street parking is free in Llanidloes but is limited to one hour in some streets (see signs). There is a free car park (The Gro) in Smithfield Street, west of the Market Hall, and a pay and display car park off the High Street. To reach the pay and display car park from Minerva, head away from Great Oak Street and take the first turning right. Both car parks are well signposted. Several bus services come to Llanidloes. The nearest train station is Caersws. To plan a journey to Llanidloes go to Traveline and select the Journey Planner page. When you arrive in Llanidloes by bus you will either be dropped at the Gro car park or the Red Lion pub. 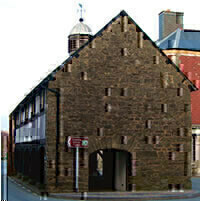 Both of these locations are a short walk from the Old Market Hall which is at the bottom of Great Oak Street. 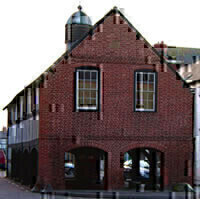 The Minerva Arts Centre is at the top of Great Oak Streett. If you are staying in the area and do not have your own transport you might need a taxi to bring you to Minerva. Call P&C Taxis on 01686 412047 or 07752 345 830. We look forward to welcoming you to The Minerva Arts Centre!